Is Your Vehicle Getting the Power it Needs? Average battery life is approximately four to five years, and can be as low as three years in hot climates. When the battery dies, the electrical features included on your vehicle shut down with it. When a battery is close to giving out, there’s generally few signs of trouble. Often the first sign is the vehicle failing to start or turn on. It’s important to check to ensure your battery can still deliver adequate power. Keep track of your battery life and be prepared to replace it if necessary. A new battery should be fully charged before it is installed. It’s recommended to check battery cables and engine ground straps at the same time. If they are severely corroded or rusted, or the wires or insulation appear cracked, frayed, or broken – replace them. When was the last time your truck battery was changed? A starter, which is an electric motor, rotates the internal combustion engine until the engine can function under its own power. If your starter is not responding, most likely the battery is low or worn out. 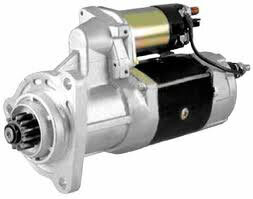 If a loud clicking is heard instead, then it may be time to replace your starter. We can’t stress enough how important it is to have a good starter for your vehicle. Our remanufactured starters have strict specifications. The parts that are most subject to wear and failure have been replaced with new components. Our remanufactured starters have been tested thoroughly which ensures that that our starters and alternators will consistently satisfy customer requirements. The alternator is an important part that recharges the battery using power from the engine and provides power to all of the electrical components. The alternator keeps the battery from losing its charge and eventually dying. 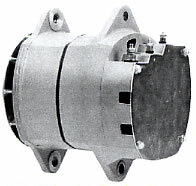 We offer remanufactured alternators and regulators to replace the original equipment. Our alternators are remanufactured to stringent specifications, not with inferior components like many rebuilt alternators. They have been tested so you know you can depend on them for performance and reliability. So, how do you know if your alternator is failing? This entry was posted in Maintenance Tips, Product Reviews and tagged Alternator, starter, truck battery, vehicle electrical system by ryderfleetproducts. Bookmark the permalink.